SAV Instructor Jon St. John is the national tour voice for Cirque Du Soleil’s “Totem” show! We are more than honored to have Jon St. John as one of our instructors. His impressive resume speaks for itself! Over his 30 year broadcast and union voice-acting career Jon St. John has provided voice-overs for countless commercial, multi-media, and video game projects. 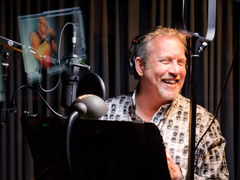 Best known as the voice of videogame super hero DUKE NUKEM, Jon is also heard on games such as: World of Warcraft, Half-Life: Opposing Force, Sonic Adventure, Heroes of Newerth, Call of Cthulu, Rochard, Gears of War, Guild Wars 2 and Counter-Strike. You have probably heard Jon on national advertising campaigns for Toshiba Printers, Old Spice deodorant, and TV promos on Nickelodeon. Jon has also provided various character voices for attractions at theme parks such as Legoland California, and Dollywood in Tennessee. His most recent accomplishment is landing the role of the national tour voice for Cirque Du Soleil’s “Totem” show. Please click here to see the spot! He is also the national touring voice for Engelbert Humperdink. (Yes, he’s still alive and crooning!) In addition, right now you can also hear Jon as the voice of an auto group in Oklahoma City – Seth Wadley Ford, Lincoln, Volvo & Subaru and he provides VO’s for each of those dealerships on an ongoing basis. Recently he was hired to do VO’s for all of Zodiac Pools commercials and promotional packages and he’s also now the voice of Taylor Made Golf. For his San Diego TV affiliate – San Diego 6 The CW, he is currently preparing for the sweeps ratings period which begins next week! He voices and produces all of their radio spots during sweeps which air on 12 radio stations in Southern California. 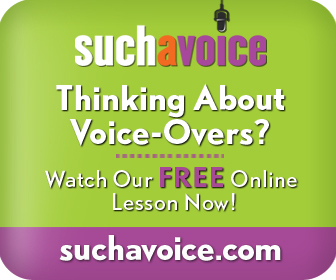 That’s what’s new in his VO world…. Subscribe to Updates Via Email! Enter your email address (and click subscribe) to get email notifications about new SAV articles!